Photo of: West of Ireland: Galway: Connemara: Kylemore Abbey. A view of Kylemore Abbey nestled at the base of Doughruagh (or Druchruach) Mountain. The lake in the foreground is Lough Pollacappul. The abbey is regarded as one of Ireland’s most romantic buildings. 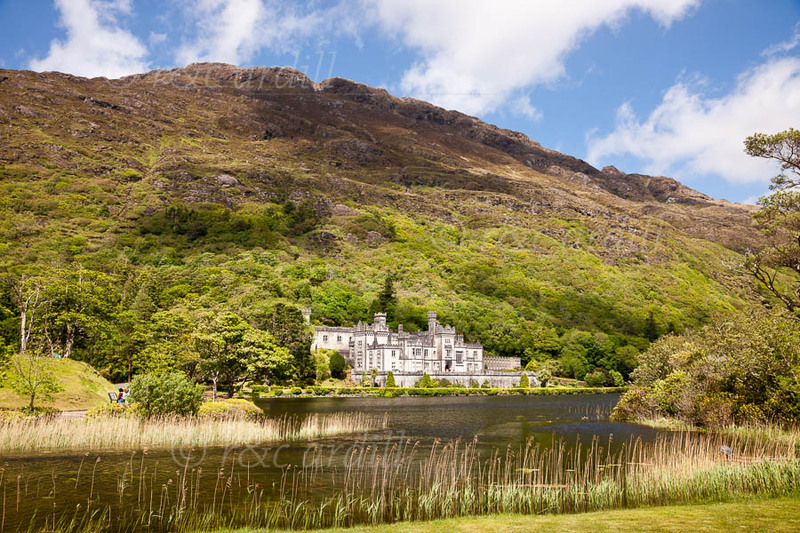 Originally built in 1867 as a romantic gift, Kylemore Abbey and the surrounding mountains and lakes are steeped in history including tragedy, royal visits, gambling debts and a hideaway during Ireland’s troubled history. In 1920, Kylemore became a Benedictine Abbey. West of Ireland: Galway: Connemara: Kylemore Abbey.